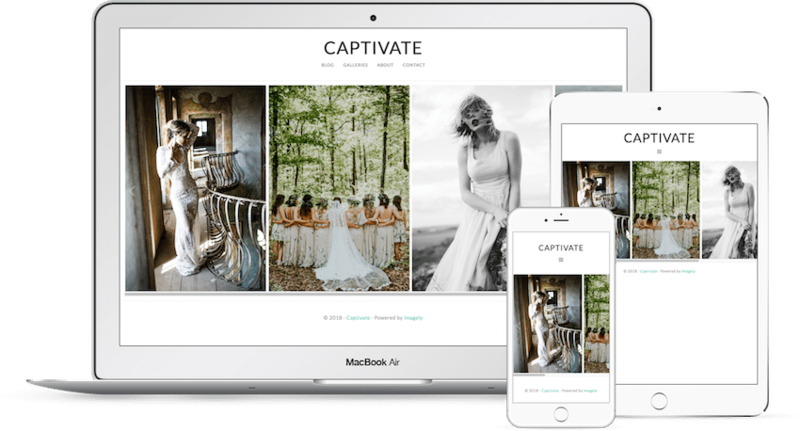 Captivate is a beautiful minimalistic theme with wedding and portrait photographers in mind. It all starts with the beautiful captivating homepage* design. Captivate's gorgeous elegant pixel perfect design and typography has a lot of white space to make it feel open and also appealing to clients. Captivate is ready for desktop and mobile. Complete with a homepage side scroll gallery, multiple blog, page and post templates. as well as an Imagely exclusive portfolio template.